Don’t get me wrong, I don’t mind being stuck in total darkness. I don’t mind eating cold noodles tossed in some teriyaki, lemon juice and rocket. It’s really nice to cuddle up in the full moon sipping a ice cold weissbier. What I do mind is being so close to finishing something I have looked forward to all day. It would have taken me five more minutes to finish dinner. But that’s part of the deal when it comes to living in South Africa these days I guess. 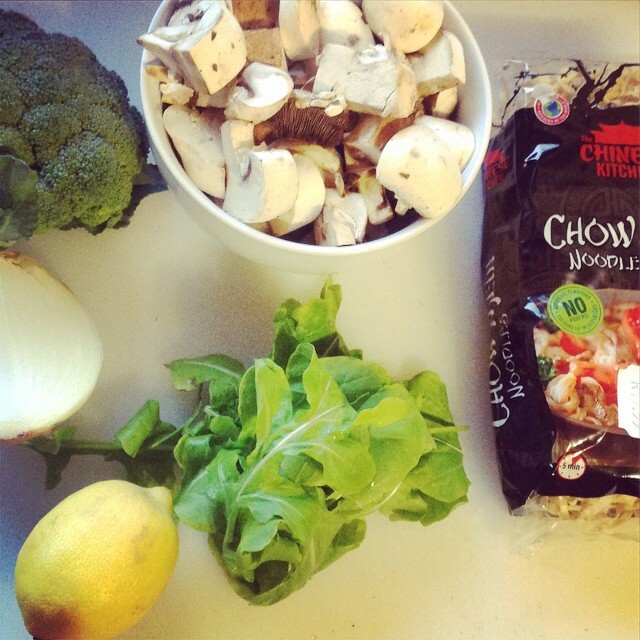 Broccoli and Mushroom Chow Mein – Made for lunch at breakfast. 1 head of broccoli, chopped small. A fresh lemon for squeezing and a handful of rocket for finishing it all off. Steam the broccoli until nice and tender. Season generously with Maldon salt and lemon juice and blend until smooth. If you don’ have a blender or food processor just mush it up with a fork. Cook the noodles according to instructions. While they are on, fry the mushroom and onion. Put the onion into the hot pan with the mushrooms to allow them to pull in all the flavor escaping from the mushroom while they are cooking. Once tender and golden, you can use a splash of soy sauce to deglaze the pan and pull up all of the deliciousness that might have been left behind. Toss the noodles in the pureed broccoli. 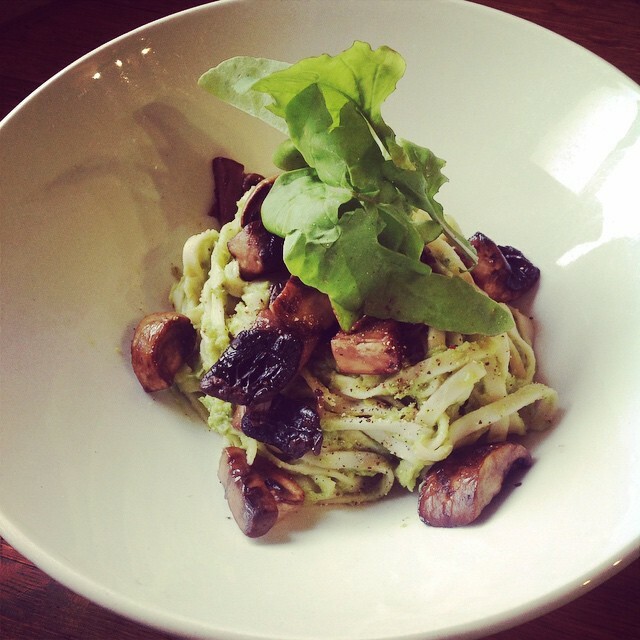 Serve it in two bowls, topped with the fried mushrooms and rocket on top. Was reading somewhat on my iPad. Glad I discovered your post. Will definitely try to connect on Google+ tomorrow when I return to my desk.